Frequently, at BDW, we participate in 2-day design sprints. They are intensive design and prototyping sessions with industry partners meant to solve a business challenge. Uber came to us with their challenges. Right now the youngest age allowed to order an Uber is 16. Despite this, many families are calling cars for their family members as young as 14. Along with families with younger users, there is also a desire amongst those who share credit cards to be able to have their individual accounts on their own devices. How can Uber grow their services to accomodate families so they can use the same payment, facilitate riders for relatives, and assure safety and transparency. All while increasing ridership, and not limiting available drivers for each user. 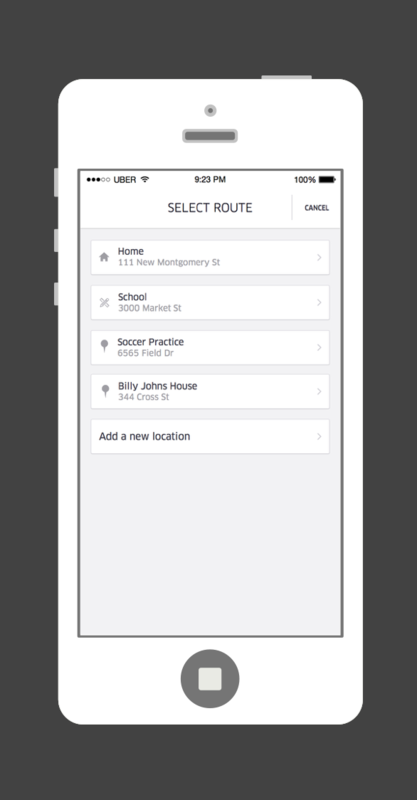 Having an outline of our target audience, we began our research by interviewing Uber drivers and reaching out to parents of young teenagers with busy schedules. 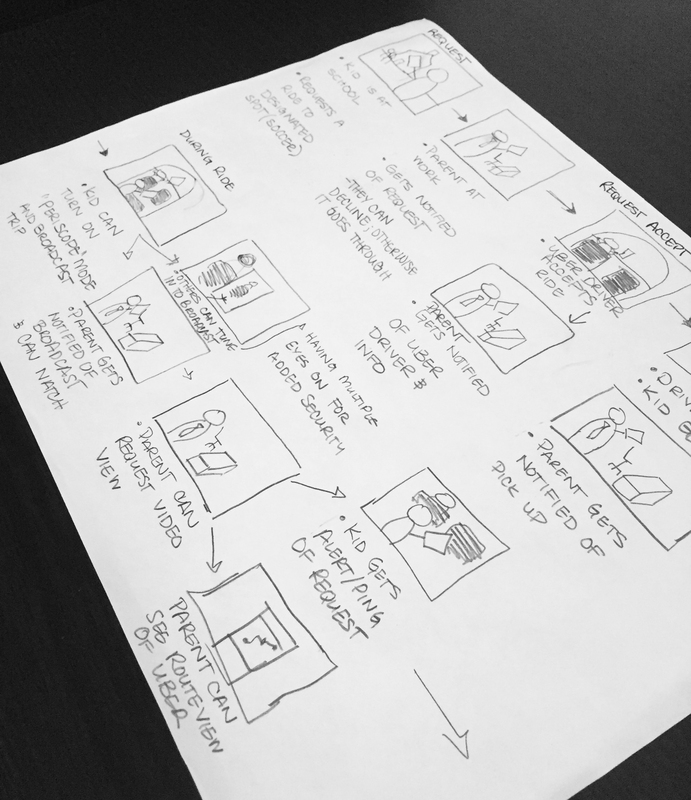 From there, with the information we gathered we ran through scenarios, using whiteboards and paper we storyboarded and brainstormed. During our process we discovered parents, although desiring their teenager to gain independance, also want to be able to find out where they are at all times. We also uncovered that if the teenager is with a friend or group, parents feel more confident they will be safe. SAFETY IN NUMBERS is where our solution lies. The first tier of our solution addressed the ability to have multiple users under one credit card. By allowing the account holder to add unlimited or limited users to their accounts. 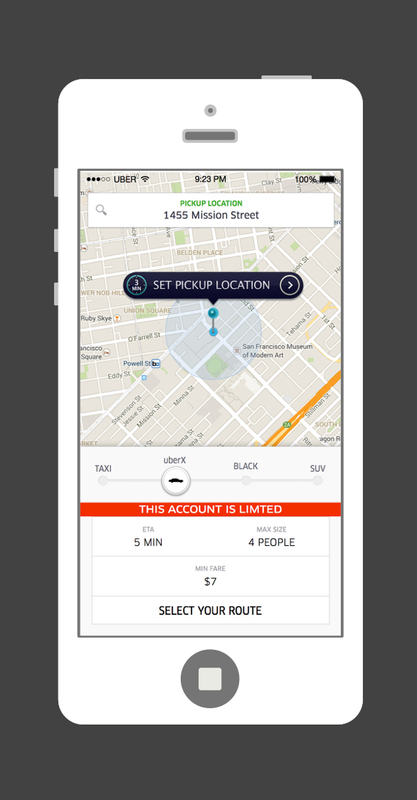 Unlimited sub-users will have unrestricted access to Uber, while limited sub-users will only be allowed to travel to pre-determined destinations. Secondly, after exploring the possibility of carpools rides and pick up groups, all situations led to times when the teenager would be alone in the car. We came to the conclusion that getting as many eyes in the car as possible through video was the answer, but ensuring each driver would have a camera in the car would be time consuming, a hassle and expensive. 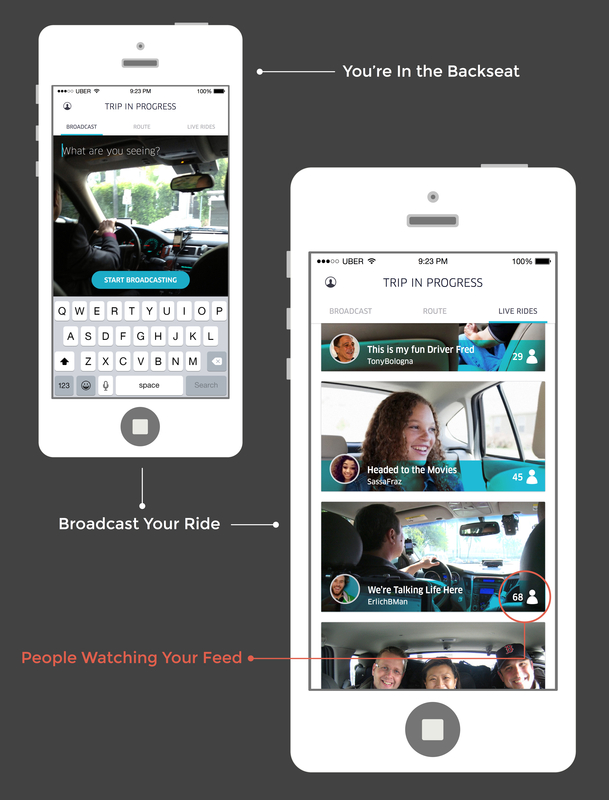 By utilizing the smartphone the rider has, we proposed a partnership with Periscope. With this, the rider would have the ability to broadcast, real-time, to the Periscope network allowing all eyes to be on their ride. 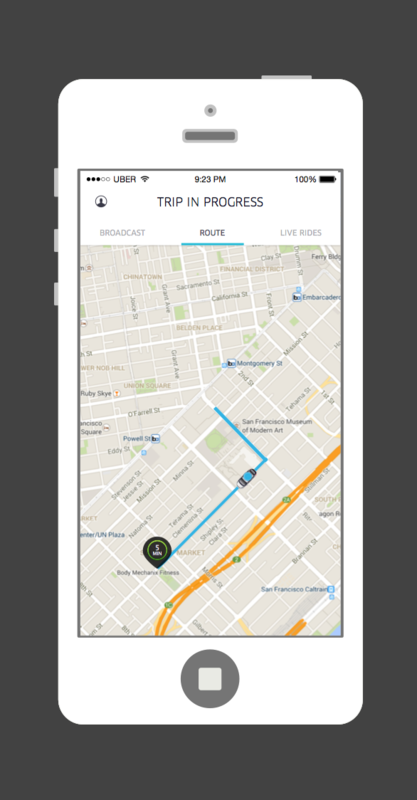 This feature would allow the rider to feel like others are riding with them and joining in on the conversation. 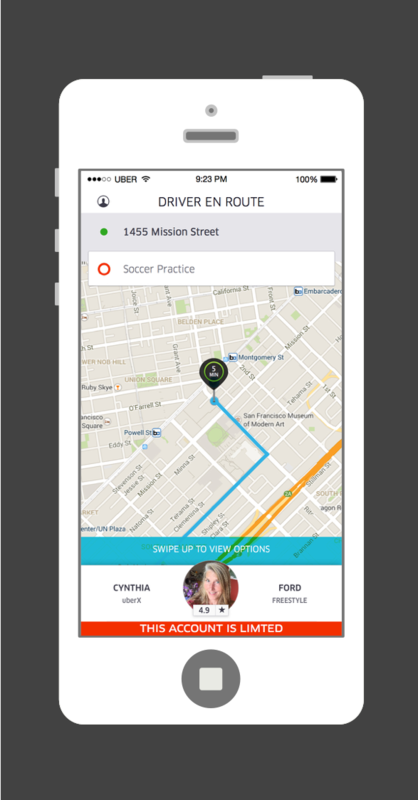 The Periscope feature coupled with the ability to create new accounts under an umbrella account with either limited or unlimited access will allow parents to feel safer and more in control of their teenagers Uber experience.